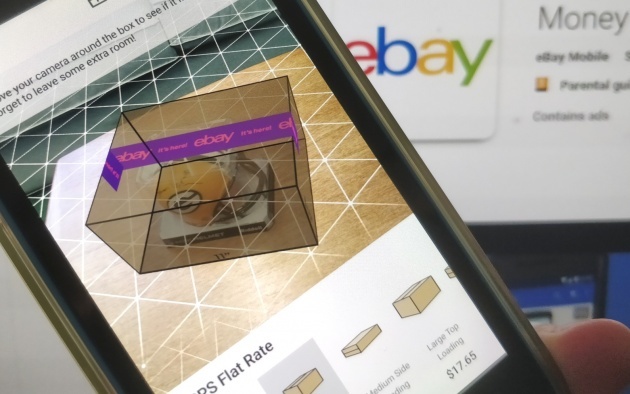 eBay is helping sellers by updating its mobile app to include an AR feature that helps you calculate which size shipping container you need for a product. To try it out, you simply head to the ‘Selling’ section on the eBay mobile app and look for the ‘Which box?’ option. You’ll need to find a non-reflective surface, and then move your phone around while pointing where you’ll eventually place the item. Place your item on the surface and try out a number of common box sizes. Who knows, maybe people will use it?